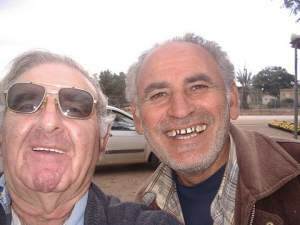 The travels of Louis the Scooterer, a retired former South African who has found an unusual way of getting to know Israel. We have refreshed ourselves at “HaLido” at Kalya Junction..at the north end of the Dead Sea.. now we get onto 90 north at “Beit Ha’arava junction”. 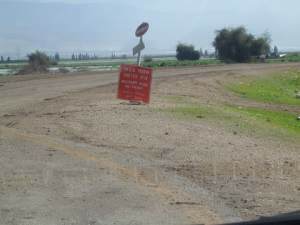 A short drive on 449 to Allenby Bridge Crossing, ( a traveller can only cross the bridge with necessary travel documents ,) and casual visitors are not allowed. 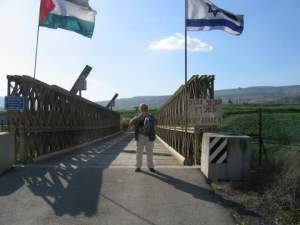 (Note..This bridge and 2 other bridges, at border crossings, do not cater for sight-seers, and I was not allowed to be on either of the 3 bridges…(also no picture taking permitted). 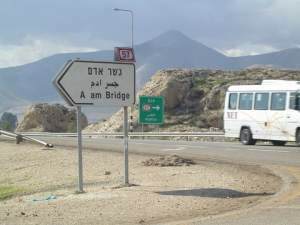 Back on 90, with Jericho on our left, we head north, and pass a few moshavim and kibbutzim that are earmarked for a future visit, and arrive at turnoff to Adam Bridge…some fading signs show “no entry”. 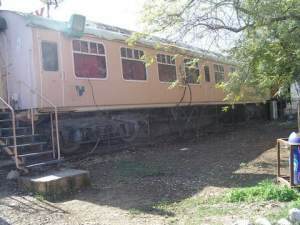 We continue and I made a quick stop at Argaman kibbutz, but the coffeeshop / restaurant in a converted train carriage was not open..and I strolled around in a very large nursery looking at pottery and flowerpots, and when I drove out…two policemen in their patrol car waved me on. 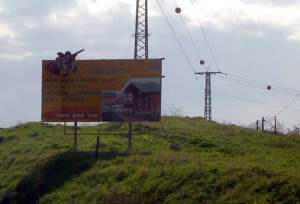 I was curious about a big advertising sign showing “an adventure holiday resort” at Brosh Ha Biqa, so I went into the cute restaurant at the filling station, had a lovely chat with the young Arab manager and also with a young man who stopped there for a coffee. I was told the entire resort was temporary home for many families who were re-locating when they exited from their homes in the Gaza strip…and being a Saturday morning..I decided not to go in. 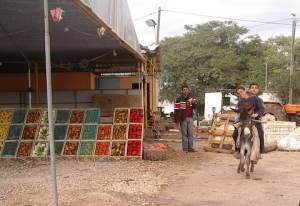 A few kms further I made a quick stop to buy fruit at this incredible stall… I was met by the biggest smile I ever saw, and his small sons posed for me on their well looked after donkey. 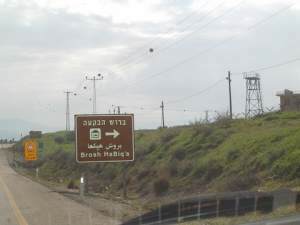 The border crossing at Sheik Hussein Bridge a short drive from Beit Shean is constantly busy with many taxis and many security personnel who politely invited me to U Turn and no pics allowed…I sneaked a pic through the rear view mirror. On an earlier visit one early morning, the 2 security guards explained that there are no facilities for casual visitors. On that visit I actually saw the bridge from a short distance. 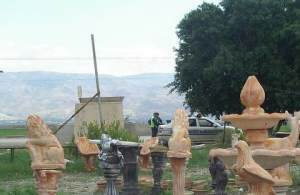 So, into Beit Shean.. also many interesting sculptures..one in particular invited me to sit. 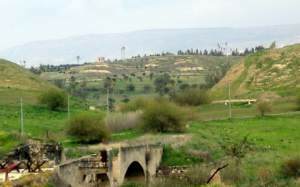 On the outskirts of Beit Shean, still going north on 90, is a lovely site to visit ..”The Roman Bridge”. A little walkaround, take some pics, and carry on…then drive through a few moshavim that are next to the Jordan river…always something to see and take pics. 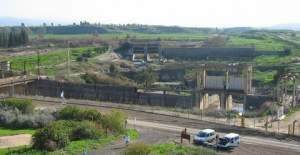 Then a visit to “Old Gesher” is a must.. after passing a large empty fortress, we arrive at the entrance of the old kibbutz…with ruined bridges and buildings. Many interesting stories, and a movie in the small “cinema”, explains much about the place, and the area…be sure to ask to visit the model of the hydro-electric plant. 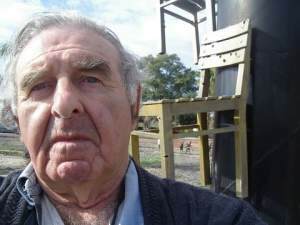 One major story is that when the kibbutz was under fire from enemy tanks.. plus other weapons…and the women of the kibbutz were trained to place explosives, and eventually blew up the bridges and railway bridge…that was under attack. and seeing the 2 rivers meet. The plant and canals were built in 1929 and for several years supplied electricity, and ceased operating in 1948. A tiny kiosk run by the local kibbuts have brochures and much information is available. Also behind the kiosk is a beautiful garden and lawn, there is a sad memorial to 7 young schoolgirls who were shot by a soldier when visiting the site. On a small rise are benches under a pergola to look at the magic views, so dont forget your binoculars. 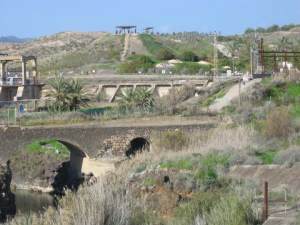 Also available is a guided tour in your car across a bridge and into Jordan, and a drive through the Peace Island, with many explanations about this area of land that (as a “Peace gesture”) was handed back to Jordan. 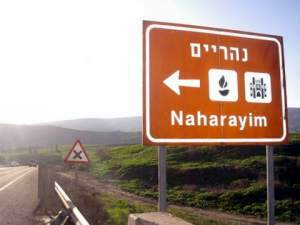 After some snacks and drinks we take a back road through the lands of the kibbutz, and we need to “make a major decision”…as we will soon be entering the southern point of Kinerret. 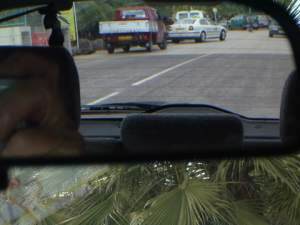 Do we drive around the Sea of Galilee and then return to the point where we entered ? Louis the Scooterer is 69 years old and it sounds like he’s just getting started.